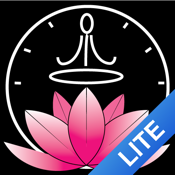 MindTimerLite is the tool that help human to stay on the present moment. The interval mode produce bell used to bring one back to present moment. The Mind timer do not teach how to do terraced walking and meditation. ★ Two mode, Time suite and Interval. ★ Time suite mode has a capability to send sound two times. this mode will support to do terraced walking and meditation. ★ Interval mode has a capability to send sound in each interval ( 30sec - 2Hour). Bell used to bring one back to present time. ★ More than 10 softly bell sound. ★ The program is working although you lock the screen. ★ The time limit is 24 hours. Notes: In this version have only interval mode, one sound. And interval mode can't be adjusted.